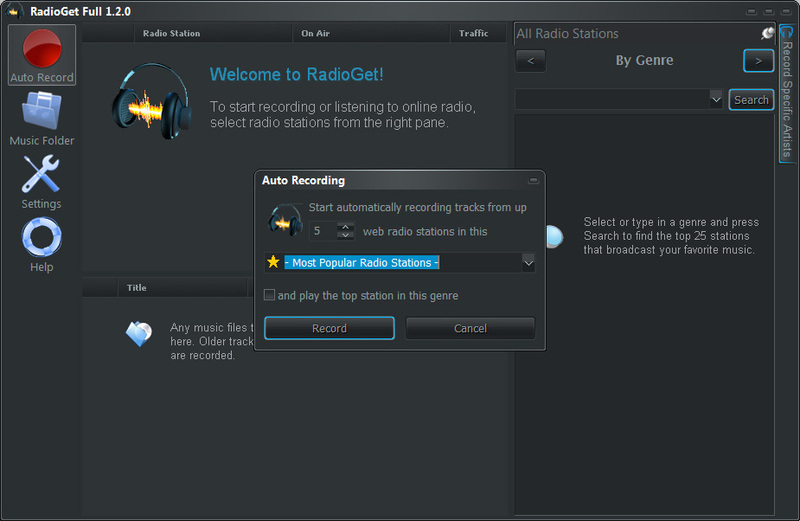 Your favorite stations will always be displayed in the top-left pane of RadioGet (if you selected any favorite stations, that is). 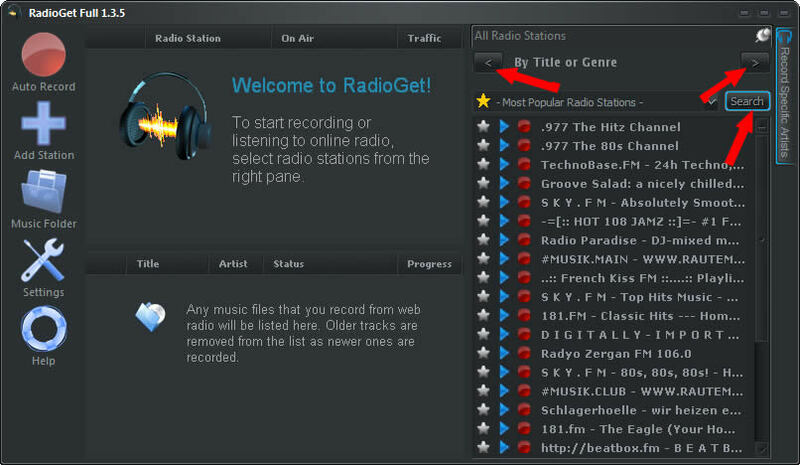 Conversely, junk stations will not appear in search results and will generally stay invisible anywhere except on the Junk Stations page of the All Radio Stations pane. 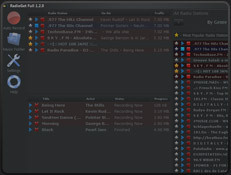 You can remove a station from favorites or junk anytime. 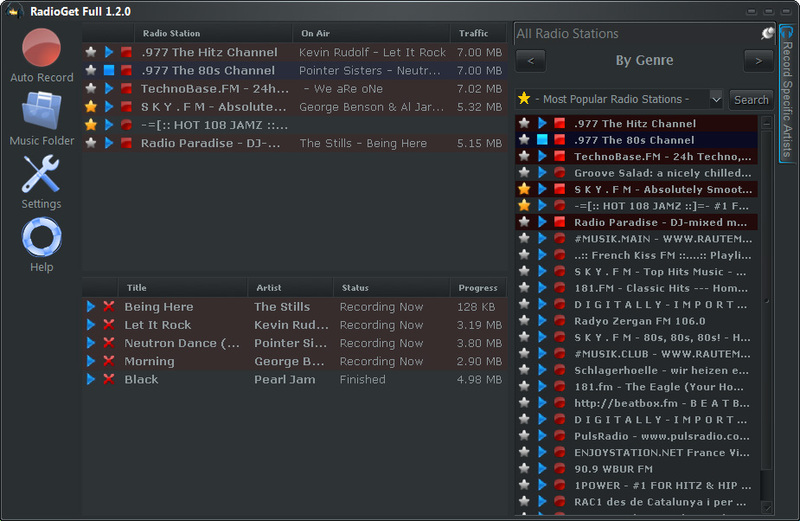 Adding or removing a station from favorites can also be accomplished by on the star icon next to the station title. A yellow star means that the station is one of your favorites and clicking on the star icon will remove it from favorites. Conversely, a grey icon means that the station isn’t one of your favorites and clicking on the icon will make it one of your favorites. 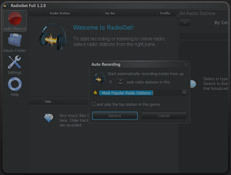 Recording and playing web radio is covered in more detail in the following section.